We want you to be a part of our CentroNía Family! When you donate, you ensure children, youth, and families in DC and Maryland have opportunities on a local level.Whether you’re a believer in bilingual education, a caregiver for your community, or a dedicated dreamer, your donation means you are making this mission a reality. If you have any questions, please call 202-332-4200 ext. 1086 or email asadler@centronia.org. CentroNia has partnered with Network for Good to securely process your online credit card payment via Network for Good (tax ID 68-0480736). This transaction will appear on your credit card statement as "Network for Good." This transaction is subject to Network for Good’s Privacy, Security & Disclosure Statement and the Charitable Solicitation Disclosure. The best way to learn about CentroNia and whether our services are right for you and your family is by visiting us for a tour and making an appointment with an Admissions representative. We want you to be a part of our CentroNia Family! 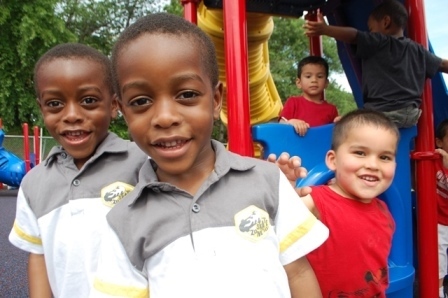 When you donate, you ensure children, youth, and families in DC and Maryland have opportunities on a local level.